I used to be the queen of New Year’s resolutions. But for the past two years, this goal and list-loving gal hasn’t sat sat down at the end of December to write out a laundry list of resolutions or goals for the year ahead. A couple of years ago, I came to the realization that my New Year’s goals were always super tactical (i.e. 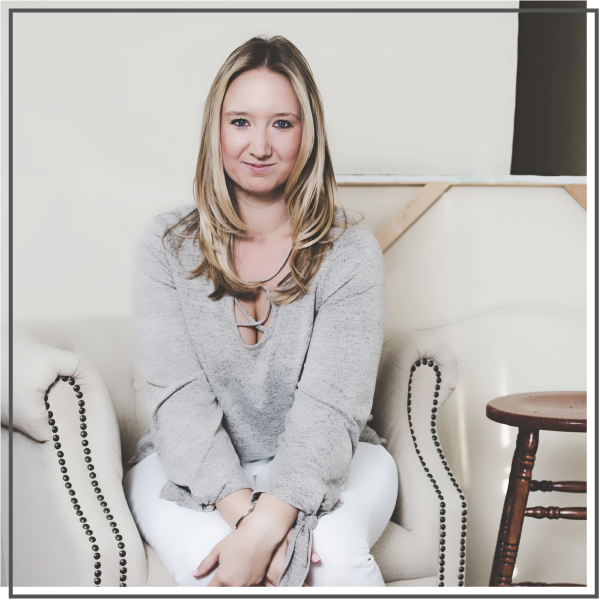 launch a product, grow my email list, complete yoga teacher training, etc.) And while tactics are important for breaking down big goals to get things done, I knew I wanted my year to be more strategic, thoughtful and intentional. (If you like this concept, click here to tweet it). That’s where my three words come in. Instead of setting a list of arbitrary goals for the year (don’t worry! I still love goals and will continue to set them on a weekly basis in my Start Your Week Right Sunday posts and on a monthly basis in my monthly check-ins), I choose three strong and powerful words to constantly keep in mind throughout the year to keep me focused on the big picture. In 2013, my three words were: passion, simplify and balance. 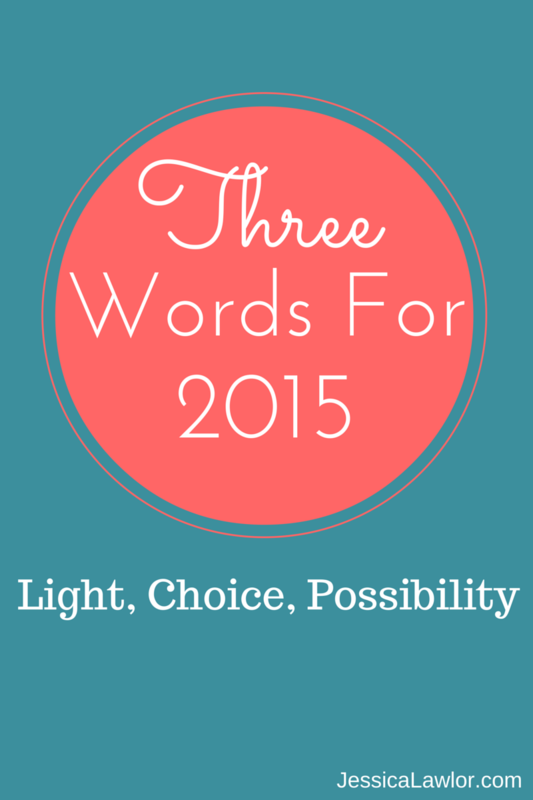 In 2014, my three words were: radiant, instinct and clarity. 1. Light. A big theme in yoga is feeling light, yet feeling grounded to the earth at the same time. What a beautiful idea. 2014 felt….heavy. Despite it being an amazing year, I spent most of my days feeling both physically and mentally drained and exhausted with an overall feeling of heaviness hanging over me. The word light has a double meaning of both FEELING light, but also BEING a light for the Get Gutsy community. When you feel light, your mind is clear and you are able to stay focused and present in the moment. Similarly, I want to BE a light for this incredible community. I want to continue sharing content that inspires and makes you stop and think about the kind of life you are living. I’m confident the word light will remind me to take deep breaths, roll my shoulders back, shake it off and stay focused and clear on my purpose. 2. Choice. When I was talking to my friend Joanna about my three words, I was explaining to her that I was looking for a word that would help me remember to protect my energy. In 2014, I gave a lot of myself to others and their priorities and while I want to continue being as helpful as possible, I also want to protect my energy and keep it focused on my own wellbeing, projects and goals first. Joanna said, “What about the word ‘choice? '” As soon as she said it, I knew it was one of my words. Choice is a great reminder that we almost always have the opportunity to make a choice when it comes to how we spend our time, money, energy, etc. The word choice will be a constant reminder that it’s okay to say no sometimes and that I’ll be in a better place to serve my community and live a happier life when I am 100% confident in my own choices. 3. Possibility. I don’t think there’s a more beautiful word in the English language than possibility. Not only does it sound and feel beautiful to hear and say out loud, the meaning behind it is incredibly inspirational. Every day, I wake up with so much hope in my heart- there is SO much possibility in life and it’s up to us to discover and explore what that means. I have a lot of BIG plans for 2015 that I’m not ready to talk about yet, but I thought the word possibility perfectly summed up the way I feel about the year ahead. The year is a blank slate just FILLED with opportunities for all of us. Isn’t that an amazing feeling? Looking at the word possibility each day will remind me that life is good and there’s enough happiness and hope out there for ALL of us to enjoy. What are your three words for 2015? Do you believe in setting goals or making resolutions for the New Year? If so, I’d love to see them! Share your goals or words in the comments below.